!Welcome to the Soapbox Theory newsletter. You are receiving this as a past customer or client, or because we received your request via soapboxtheory. !Welcome to the Soapbox Theory newsletter. You are receiving this as a past customer or client, or because we received your request via soapboxtheory.com. We hope you enjoy it and choose to share, but if you'd like to remove yourself from the list, please use the unsubscribe link at the bottom of the page. Questions? Email us at theorize@soapboxtheory.com or call 503.943.9560. We had an awesome time at Umoja Fest in Seattle, and the Mississippi Street Fair in Portland these last few weeks. Welcome to all the new people on our mailing list! If you haven't yet, connect with Soapbox theory on Facebook, twitter and instagram. One of our biggest hits this summer have been children's lunch boxes. With our new website, you can purchase them and other products online and track the progress of your order. Soon we will be adding a portfolio section and even more products! Time is almost up (1 day left!) 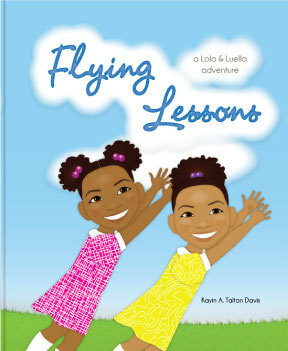 on our indiegogo campaign for "Flying Lesson: A Lola and Luella Adventure" which has some awesome packages. If you haven't checked it out, please do so here. If you'd prefer to order directly from our site, click here to create your own package. Books are expected to ship late September. Please contact us directly at theorize@soapboxtheory.com if you are interested in purchasing at wholesale quantities. Stop by, order a copy (or two) and spread the word! There is always something going on at Soapbox Theory. Be on the lookout for our next newsletter, with dates for events and highlights!